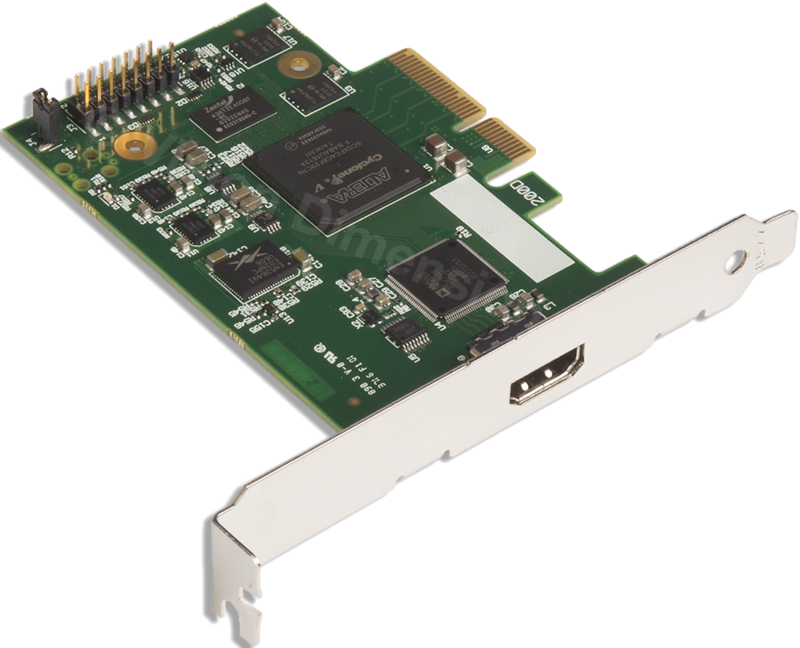 Produktinformationen "XtremeLC-HD HDMI Capture Card 4K"
Discreet video capture is now the mainstay of many small form factor appliances being uses in markets such as lecture capture, distance learning and medical environments. 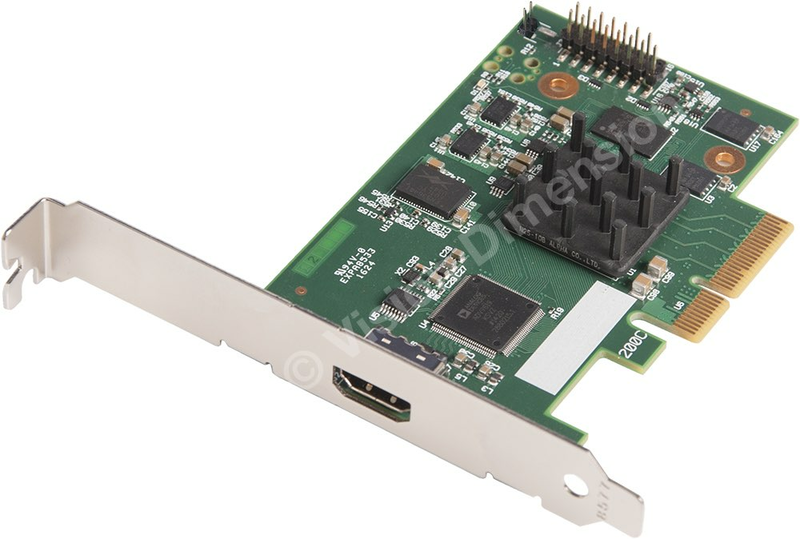 The XtremeLC-HD provides HDMI capture for use within such applications. EMS's LiveStream:Capture architecture allows captured video to be processed and delivered in real time to a processor or graphics card. The XtremeLC-HD supports on board colour space conversion and scaling, providing the ability to efficiently transfer the video signal in a suitable format for rendering or encoding applications. The XtremeLC-HD natively supports 32, 24, 16 and 12 bit YUV and RGB formats. 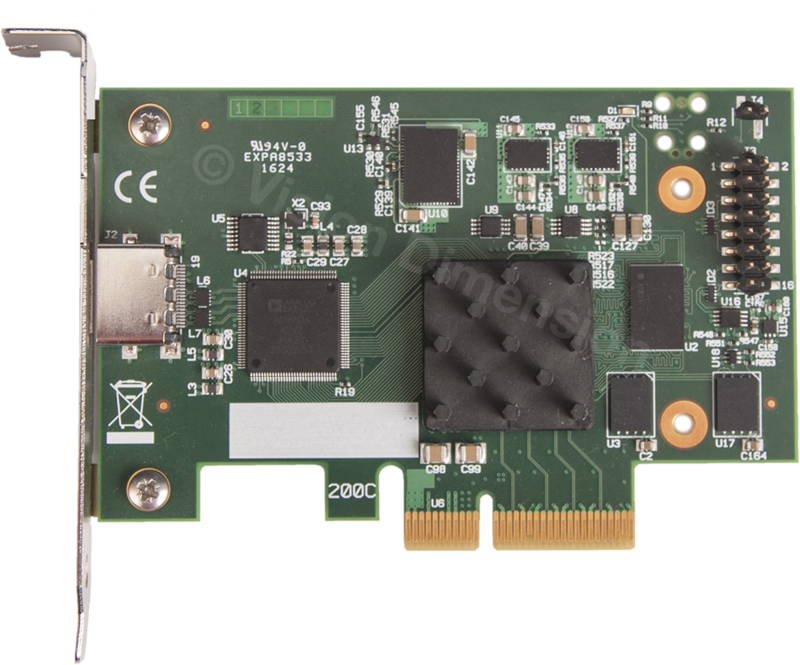 Due to the nature of the LiveStream:Capture architecture, the XtremeLC-HD is not supported for wall controller applications that depend on EMS's MultiStream technology. Built upon the Microsoft AV stream model, XtremeLC-HD inputs can be accessed and enumerated in any DirectShow or Media Foundation supported application. 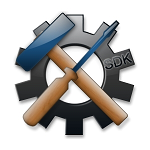 A video for Linux (V4L) driver package is also available to download. The XtremeLC-HD is supplied with a powerful software application for configuring the format of the input sources and displaying the data. Simply connect your video source into the card, run the XtremeLC application to automatically detect the video source format and display the captured video in a window on your desktop. Weiterführende Links zu "XtremeLC-HD HDMI Capture Card 4K"
Kundenbewertungen für "XtremeLC-HD HDMI Capture Card 4K"